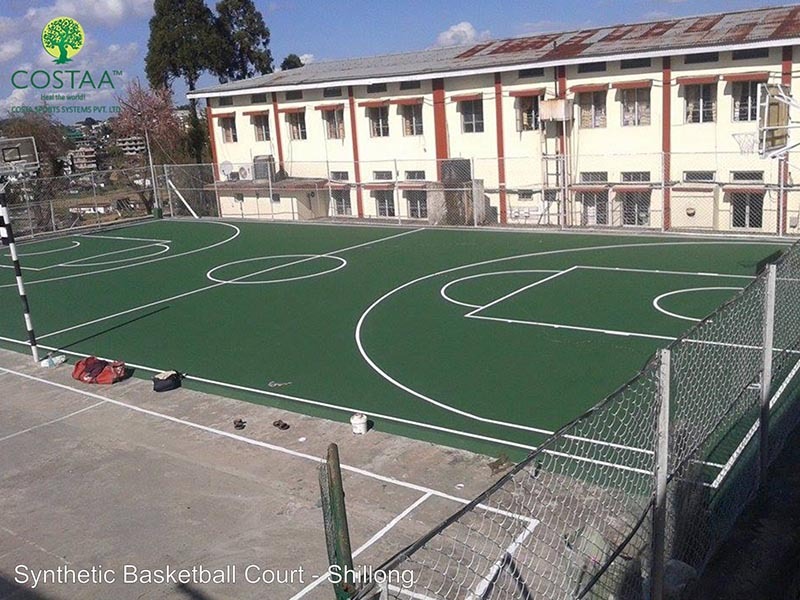 Synthetic Flooring and Synthetic Surface of Basketball Court – Costa Sports Systems Pvt. Ltd.
Court Length : 94 feet (1128 inches). Court Length : 3.5 feet (42 inches). The diameter of the rim is 18 inches. The top of the rim should be exactly 10 feet (120 inches) off the ground. Distance from the backboard to the back of the rim 6 inches. 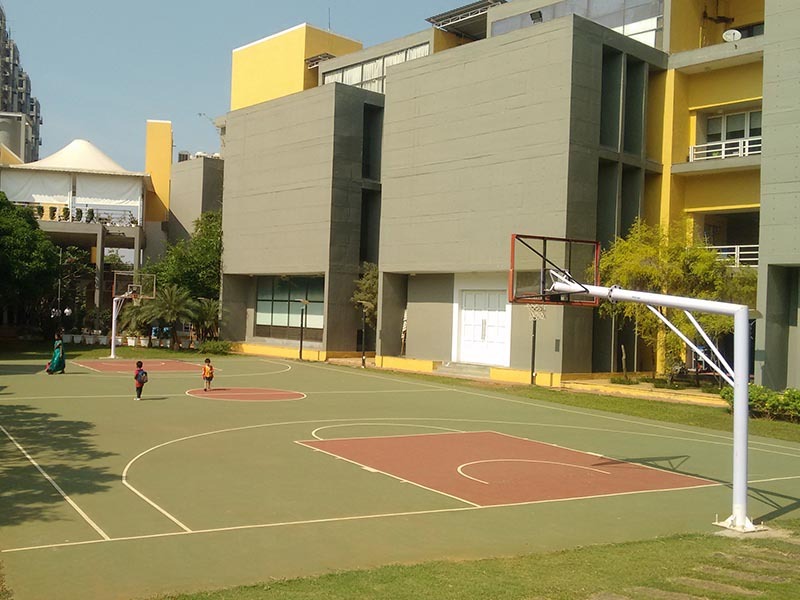 The synthetic flooring of basketball court garners some exquisite COSTA qualities. Games are our interest and we are an adroit provider of play courts of various types materially and qualitatively. 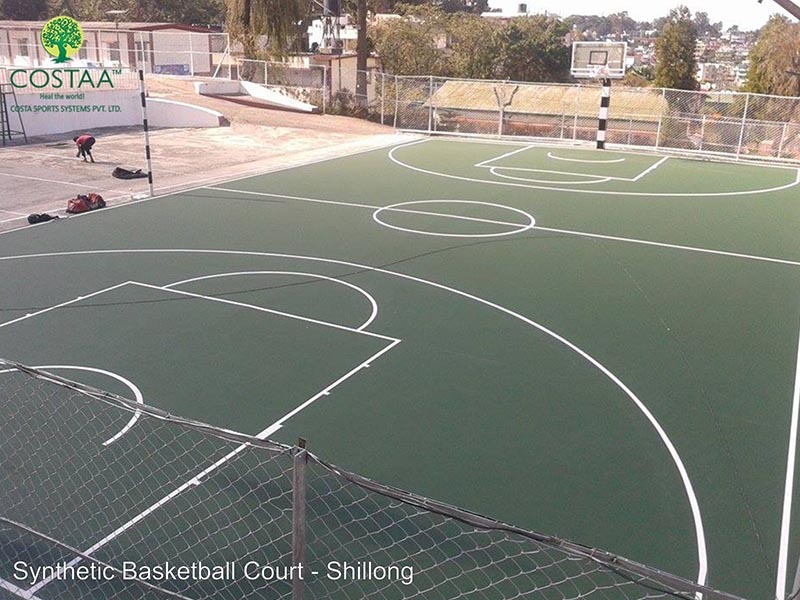 Our specialty lies in synthetic surfaces and we serve quality products according to the need of the game. As the synthetic surface of tennis court would implicitly differ from the other sports. The construction has to be accordingly otherwise it may mar the prospect of players. Fundamentally they are equally durable, smooth, compatible, and friction and absolutely prevent from injury, fungus and other harming entities.